"The PRC did not investigate why PNM’s project is so expensive and appeared unaware that costs are substantially lower elsewhere." From the Las Cruces Sun-News, Jan. 21, 2018. by Steve Fischmann. In a state ravaged by poverty, keeping a lid on the cost of power is critical to struggling households and our ability to attract business and create jobs. Yet, New Mexico’s electric utilities continue a barrage of rate increase demands to pay for new investments - often in dying technologies. This in a state showing little or no growth. As the state agency responsible for regulating electric utilities, the PRC appears impotent against the assault. They have lots to explain as we look back on 2017 and ready ourselves for the future. The PRC recently approved PNM’s new solar generating facility at a whopping $45 per MWh despite the fact that lower bids were outstanding. The PRC did not investigate why PNM’s project is so expensive and appeared unaware that costs are substantially lower elsewhere. "It’s not only about saving money, it’s about preserving quality of life. Claims that the PRC is overworked are no excuse. Ensuring the lowest cost reliable service is its core mission." From the Las Cruces Sun-News, December 10, 2017. by Steve Fischmann. I recently attended a public meeting about a proposed new electric substation in the Talavera community outside of Las Cruces. The four-acre project would put 100-foot tall towers and transformers behind a “good looking” 8- foot wall. It would be brightly illuminated for security reasons at night. The adjacent residential neighborhoods have no street lights and some locals are amateur astronomers who moved there for the dark night skies. “Do you consider the impact on property values?” one woman asked. “We are not in the property appraisal business,” came the answer. The message was clear. By hook or crook, a substation was going to be built and residents had little input as to where or how. It got me to thinking. If this is how an upper-middle-class neighborhood is treated, what kind of abuse do low-income neighborhoods endure? Surely the Public Regulation Commission (PRC) reviews these projects before allowing utilities to spring them on local communities. A bit of research reveals they do not. Not really. From the Las Cruces Sun-News, November 21, 2017. by the Las Cruces Sun-News. LAS CRUCES - Former State Sen. Steve Fischmann has announced that he will run for the New Mexico Public Regulation Commission in 2018. 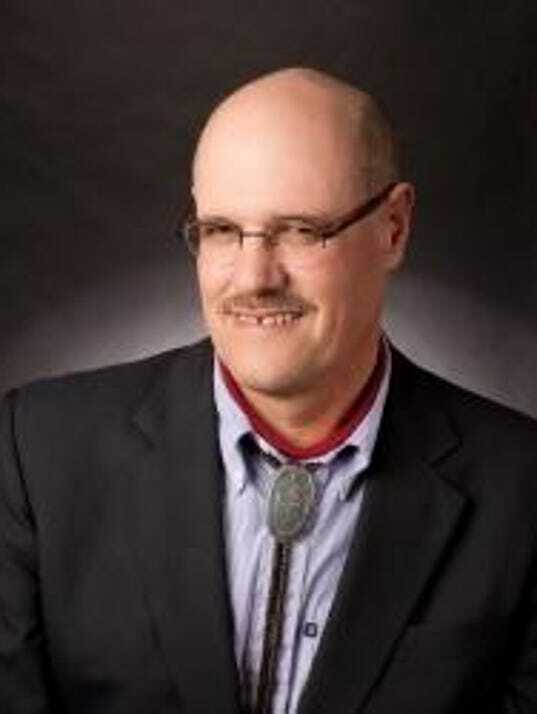 Fischmann, a Democrat, will challenge Democratic incumbent Sandy Jones for the PRC seat in District 5, which covers the entire southwestern part of the state, stretching north to Los Lunas. In the last couple of years, Fischmann has been among the leaders of an effort to oppose El Paso Electric's rate increase request. "now more than ever, it is crucial to strengthen state protections for our air, land and water." It seems like every day there is a new attack on our bedrock environmental laws or the public lands in our backyard. The federal government is currently run by anti-conservation forces that have repeatedly demonstrated that they serve industry instead of hard-working families. Governor Susana Martinez has aggressively championed polluting businesses at the expense of the health and safety of New Mexicans. That is why, now more than ever, it is crucial to strengthen state protections for our air, land and water. We must ensure state legislators support our conservation values. That is why Conservation Voters New Mexico (CVNM) recently released the Conservation Scorecard for the 2017 legislative session. "There are no credible independent studies showing that the kinds of subsidies being offered to Santolina stimulate regional economic growth. This after more than 50 years of experience across the country." COMMENTARY: There’s is no easier mark for corporate con artists than local politicians presiding over a struggling economy. Desperately wanting to create jobs, they are as vulnerable to bogus economic development schemes as a gambling addict is to the next “can’t miss” sports bet. The all-too-familiar pursuit of fool’s gold is being played out once again with the proposed 14,000-acre Santolina development on Albuquerque’s West Side. Though the project is currently hung up in the courts, Bernalillo county has already signaled its intention to fork over $500 million in tax subsidies to help fund roads, water and other infrastructure. The developers, Western Albuquerque Landholdings (controlled by Barclays Bank), will undoubtedly ask for billions more in state tax subsidies as the project moves forward. "It is an autocratic outrage for the Trump administration to second guess such a fully articulated expression of the will of Dona Ana County’s citizens." Sounds catchy, but the suggestion that the feds imposed the OMDP Monument on Dona Ana County in an act of oppression turns history on its head. In fact, the feds created the monument at the community’s request. When Congress failed to heed popular proposals to protect Dona Ana County’s most notable natural and cultural assets, our community organized to ask the president to do it instead. This was not an abuse of authority. It was government at its best - effectively responding to the people’s wishes. Local advocates, sportsmen’s groups, businesses, environmental groups and individual citizens all pitched in to help design a monument that would best preserve our unique treasures. Both the city of Las Cruces and the Dona Ana Board of County Commissioners endorsed the proposal. "The company made a decision that will impose millions of dollars of unnecessary costs on rate payers every year. Costs that most would agree we should not have to bear. Fresh off the denial of almost all last year’s proposed New Mexico rate increase, and the dramatic trimming of last year’s proposed Texas rate increase, El Paso Electric is preparing more rate increases for this year. This time the company says additional revenue is needed to cover the cost of operating two new gas fired “peak power” generating facilities that recently went into service. The fallacy behind the upcoming increase proposal can be illustrated by a brief tale of two Uber drivers. We’ll call them Uber Smart and Uber Dumb. Both Uber Smart and Uber Dumb find they need a second car for two days a year while their primary car is in the shop for maintenance. '"This inaction is a shame', said Steve Fischmann, a former state senator from Las Cruces (2009-12) who is co-chairman of the New Mexico Fair Lending Coalition, a group that has fought for interest rate limits. In a Roundhouse meeting room packed with lobbyists and a few consumer protection advocates, the House Business and Industry Committee on Friday quietly tabled a bill that would have capped the annual percentage rates for payday loans and other small loans at 36 percent. The 11-member panel didn’t vote on the matter. The committee’s chairwoman, Debbie Rodella, D-Española, simply asked her members if anyone objected. No one did. It was an unceremonious end to a proposal that consumer protection advocates have pushed for years, trying to rein in an industry they say preys on the poor with annual percentage rates that can climb as high as 9,000 percent. And no one, not even the bill’s sponsor, who was not present, seemed surprised. And they shouldn’t have been. Since 2010, at least 11 bills that would have capped interest rates on storefront lenders have met quiet deaths without ever making it out of their initial committees. They were among 32 bills related to regulating the storefront lending industry that were killed in that period. While 15 other states, including Arizona, New York and Pennsylvania, have imposed such caps or banned payday lending altogether, lawmakers in New Mexico, which has among the most permissive small-loan lending laws, have been staunchly resistant. A former state senator who is helping lead the fight against high-interest payday and other small loans said Monday that a bill to cap rates at 36 percent is dead. “The governor would veto it anyway,” former Sen. Steve Fischmann, co-chairman of the New Mexico Fair Lending Coalition said, referring to House Bill 26, sponsored by Rep. Patricia Roybal Caballero, D-Albuquerque. But Fischmann, a Mesilla Park Democrat, said supporters of the bill are in negotiations with certain parts of the industry that are backing another bill aimed at regulating businesses that offer small loans at high interest rates. “I think we are getting close to a deal,” Fischmann said. That bill, HB 347, sponsored by Rep. Patty Lundstrom, D-Gallup, would in effect set maximum interest rates of 175 percent. "Steve Fischmann, a former state senator from Las Cruces who's challenged the company's long-range plan, contended the company could rely on more solar-generation and purchased electricity instead of building new natural gas-fueled power stations." LAS CRUCES - Las Cruces and Doña Ana County officials on Tuesday rehashed what they hailed as a big success against utility El Paso Electric Co.'s proposal for high rate hikes in southern New Mexico. But they said their work in advocating for Doña Ana County residents isn't over because cases of a different — but related — nature are still pending before New Mexico utility regulators and the private company is planning to file another rate hike request next year. El Paso Electric Co. didn't make a presentation to the joint meeting of the City Council and the County Commission at the Doña Ana County Government Center, but did confirm that an additional rate case is planned in New Mexico to pay for new infrastructure. In July, a slight rate increase did take effect as a result of the New Mexico Public Regulation Commission's decision on a rate case earlier in the year. But they were much less than the electric company initially sought, advocates emphasized. The company had asked for a $8.6 million revenue increase per year, but was granted a $1.1 million increase. For residential ratepayers, it had asked for a 9 percent increase, but received about a 1.3 percent hike.